3) Hormones/antibiotics/toxins are stored in the fat cells of animals to help protect their bodies from them (humans included), so when we are eating cheese/butter/animal fat, we are getting a concentrated amount of the stuff that even their bodies didn’t want. This is pretty gross anyway, but think about what it means for the commercially available, conventional stuff? 4) In Canada (I’m not sure about other countries) there is no requirement to list the ingredients in milk. Ingredients in milk. Shouldn’t it just be milk?! I recently learned that skim milk contains sugar to make up flavour-wise for the lack of fat. Like, straight up sugar. 5) Cow’s milk contains high amounts of phosphorous (as does pop/soda), a mineral that we need, but too much of it can cause an imbalance in our calcium levels (which, as we all know, we need for strong bones and general health). My understanding is that the extra phosphorous helps keep cows’ bones porous and a little lighter to move around. This sounds pretty perfect for a baby cow, but not something humans want or need. On a whole I really do like to focus on what we should be eating as opposed to what we shouldn’t. There are so many delicious and healthy options that if we truly embraced, wouldn’t leave room for all of the less than great stuff. Like cleaning out your closet and instead of getting caught up in the clothes that you’re parting with, focusing on the ones that you’re making room for. 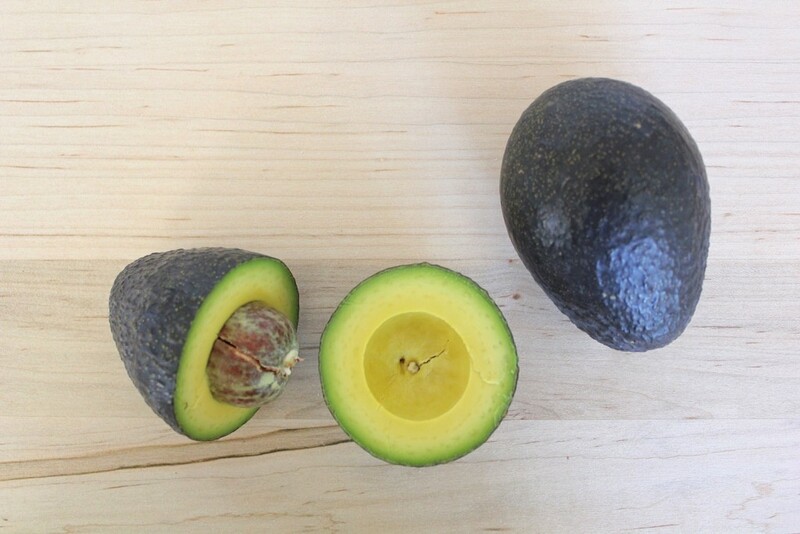 So, in that spirit; avocados. Caprese salad, basically a cheese sandwich without the bread (or let’s be honest, with the bread on the side). I am all over this if I’m somewhere in Europe where the buffaloes from the farm up the street are the source of the cheese. But how many times have you ordered this in a restaurant and it was made of cold, rubbery regretful cheese? 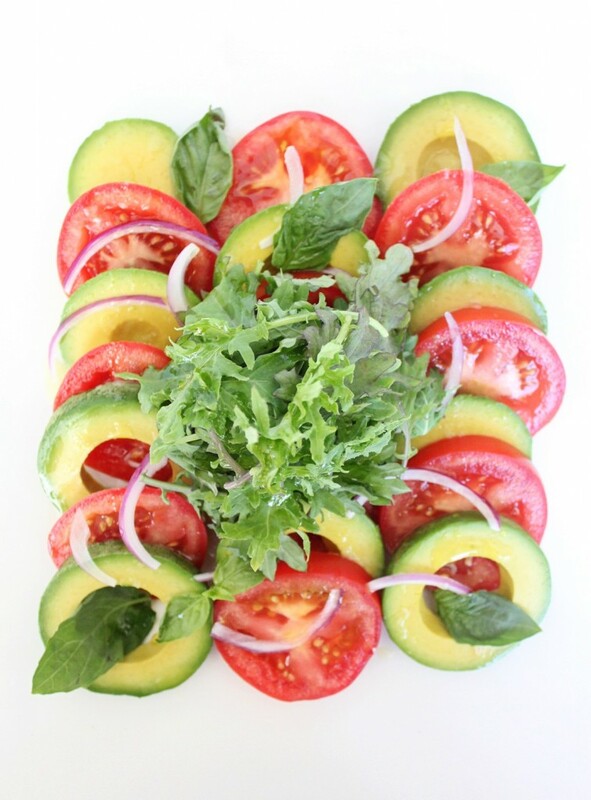 If you live somewhere that tomatoes are happily growing right now, make this salad today (I was on vacation down south when I took these pics last week. 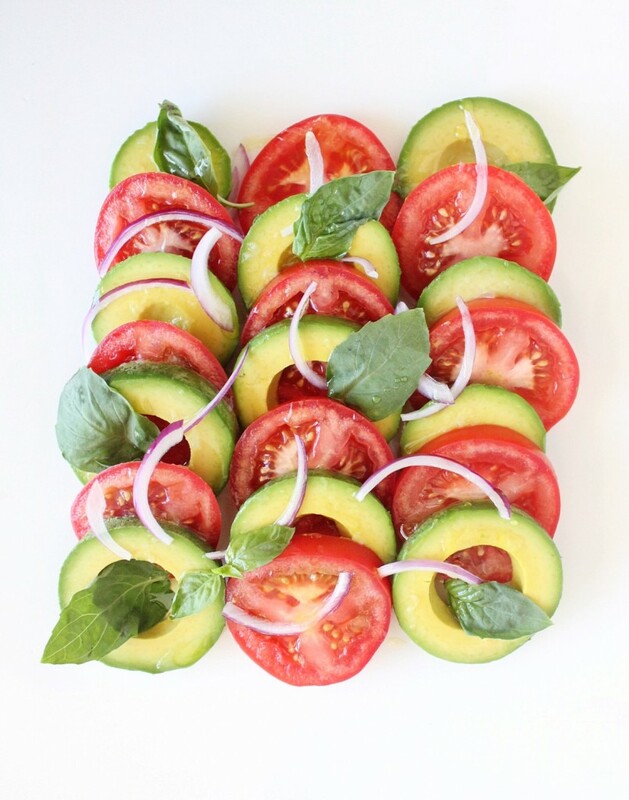 We ate this salad every day). If not, replace the tomatoes with cooked beets for a less authentic but still delicious alternative (and try it again in the summer with tomatoes). 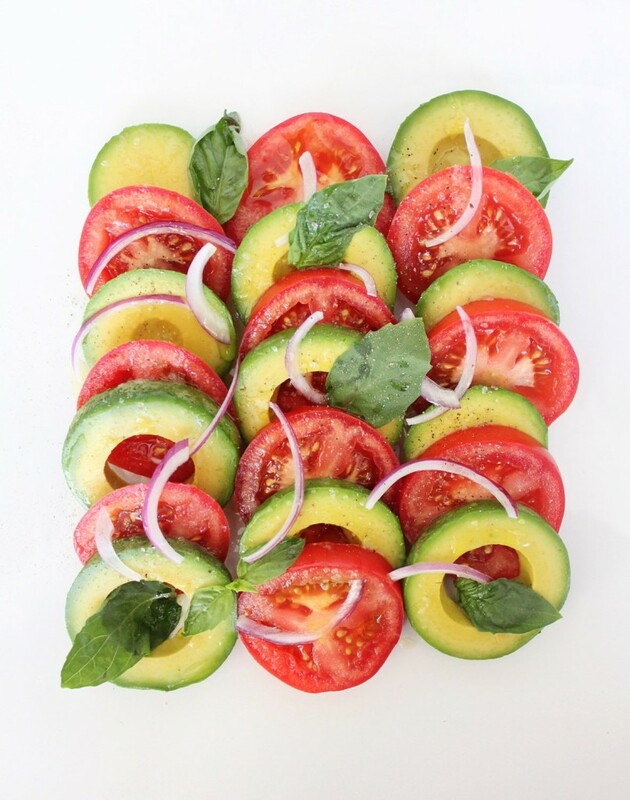 The avocado (sliced into rounds for a more caprese-y look) seasoned properly, layered with the tomato slices, fresh basil and a less authentic but sharp and delicious, good for you hit of red onion, makes for a pretty great cheese sandwich salad alternative. It’s also faster to make than washing a head of lettuce (although you could easily serve this on a bed of lettuce for some extra green). If you are going to eat dairy once in a while, the most important thing is to feel no guilt, and really enjoy it (I’m sorry if I’ve made that difficult for you, welcome to my life). 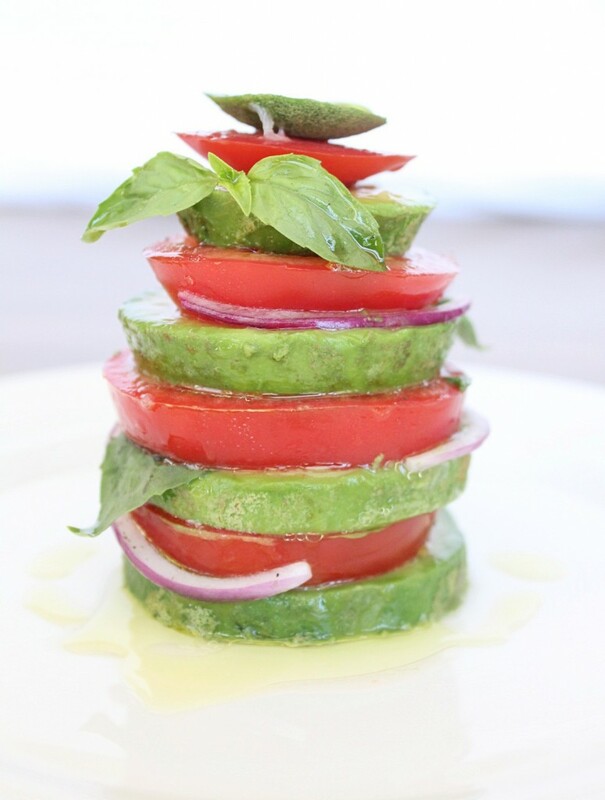 Think of it as an occasional special treat, rather than a staple, and choose a good source. Organic and grass-fed (cleaner fats), local, small farms (check the farmers market, you can even ask them questions, it’s amazing) and opt for goat or sheep (usually less commercially raised and lower in phosphorous –smaller bones). 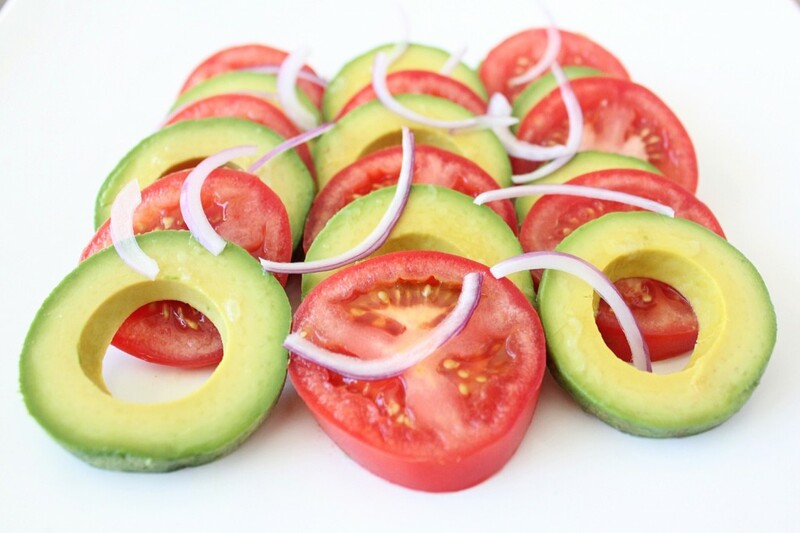 2 ripe Avocadoes, cut in half horizontally, peeled and sliced into rounds, the same width as the tomatoes. 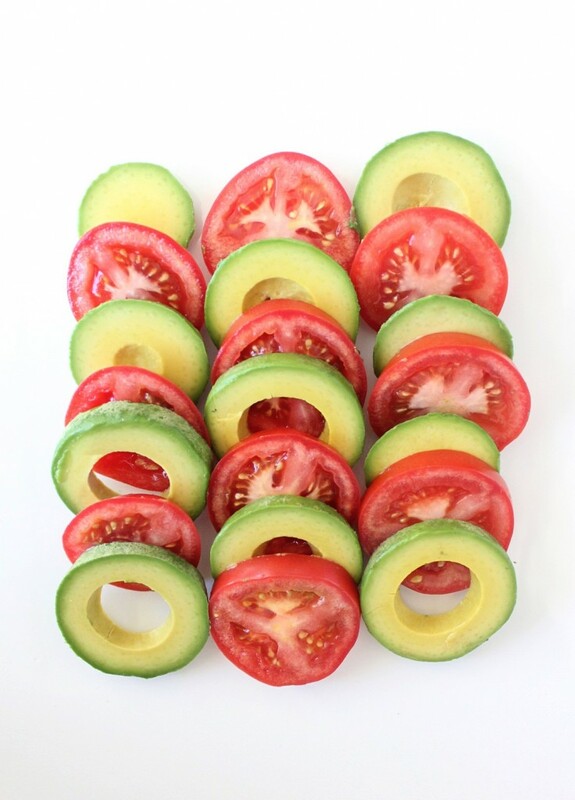 Layer the tomato and avocado slices into one long row or several, side-by-side. 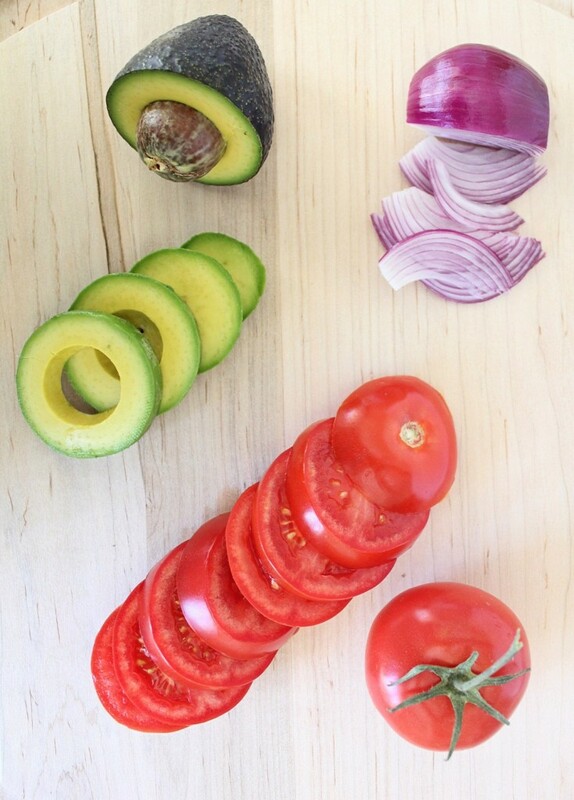 Sprinkle the red onions over top. Drizzle lemon juice, olive oil and season with sea(weed) salt. Serve on greens or underneath greens or just as is.